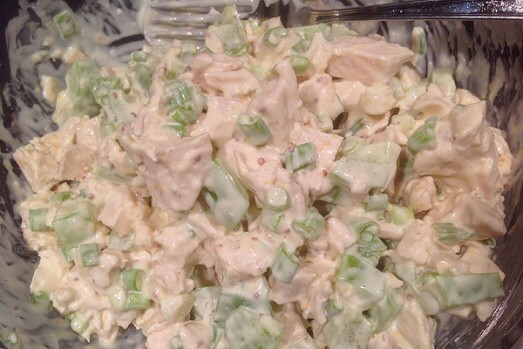 The dressing is easy to make. 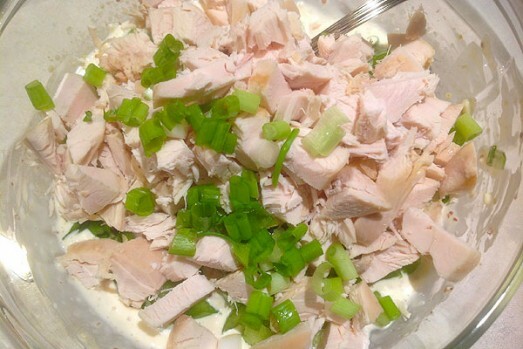 Combine the three ingredients (lemon juice, mustard & mayo) for the dressing in a salad bowl till smooth. 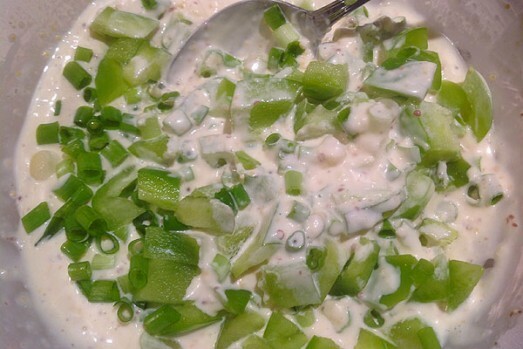 Add the chopped green onions, mix into the dressing. Add the chopped peppers (green or a mix of colours). Then add in the pre-cooked, diced breast of chicken to the salad dressing. Toss everything together till it is all well covered. Top with the set aside, chopped green onions & a few grindings of fresh pepper. Serve with your favourite bread on the side. Enjoy!